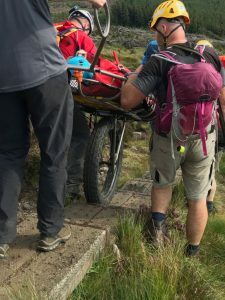 At 21:06hrs on Wednesday, August 15th, The Glen of Imaal Mountain Rescue Team and Dublin Wicklow Mountain Rescue Team were tasked to assist a hill runner with a lower leg injury on the Brockaghs. 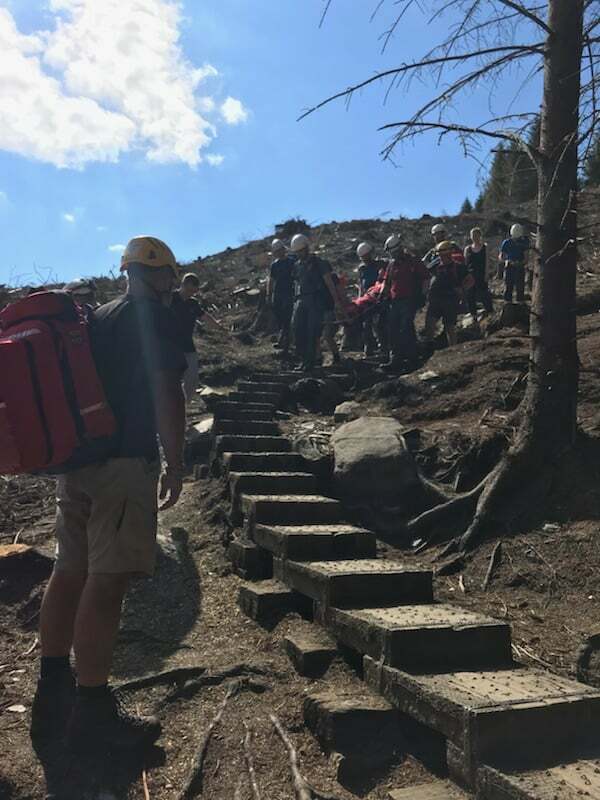 Mountain rescue (MR) personnel responded to the incident site. MR medics assessed and treated the injury, before evacuating the runner by stretcher to a waiting ambulance. The incident was stood down at 22:58. Our thanks to the National Ambulance Service for their assistance. 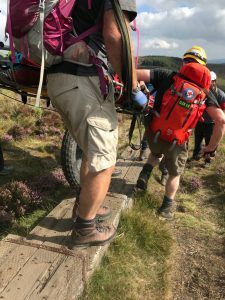 At 13:56hrs Saturday 4th August 2018, The Glen of Imaal Mountain Rescue Team and Dublin Wicklow Mountain Rescue Team were tasked by the National Ambulance Service who were on their way to an injured walker in Glendalough. The teenage boy had fallen and sustained a lower leg injury on the popular spink walk above Glendalough. 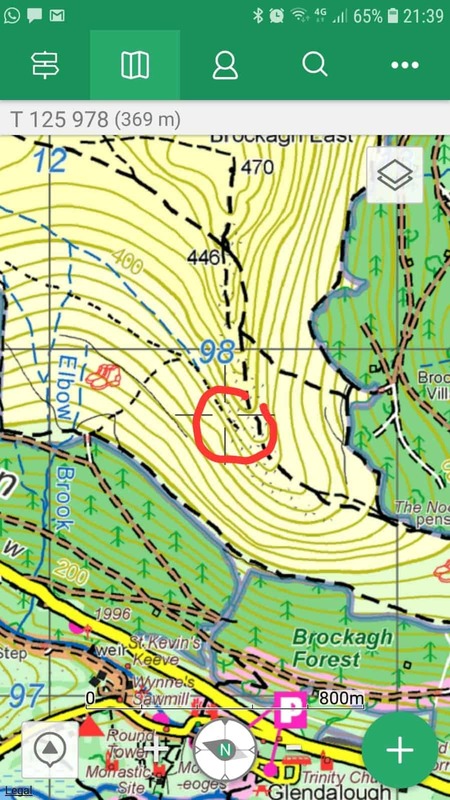 Mountain Rescue (MR) parties were dispatched to assist. The boys injuries were assessed by MR medics and he was packaged and stretchered down to the waiting HSE ambulance. The incident was stood down at 16:08hrs. The second callout came at 15:50hrs just as things were wrapping up on the first call. 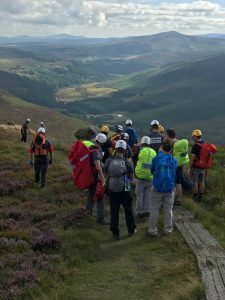 The Glen of Imaal Mountain Rescue Team and Dublin Wicklow Mountain Rescue Team were tasked by An Garda Síochána (AGS) to assist an injured walker on White Hill.